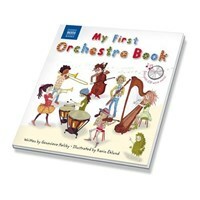 Get ready for the new term with the ‘’My First’ books series! 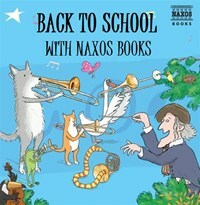 A delightfully colourful introduction to the orchestra, aimed to fire the imagination of children aged 4 9 years. There is a special guide in the book: a little green creature called Tormod. He is a troll who has come all the way from the top of a mountain in Norway to discover music. As he searches for the music that will help him to find his way home, readers learn about the different instruments what they look and sound like, and how they belong in different families. Throughout the book children are referred to the accompanying CD so that they can hear examples as they read. There is a musical quiz at the end, with multiple choice answers. 37 classical music tracks on the CD include: Sarasate's Carmen Fantasy, Mozart's Overture to The Magic Flute, Tchaikovsky's 'Russian Dance' from The Nutcracker, Copland's Clarinet Concerto, Wagner's Overture to Tannhäuser, Grieg's 'In the Hall of the Mountain King from Peer Gynt and many more. An original, colourful and lively approach to learning about music. Follows the huge success of My First Classical Music Book and Meet the Instruments of the Orchestra! from Naxos. 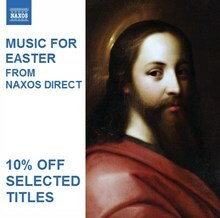 37 classical music tracks on the CD. 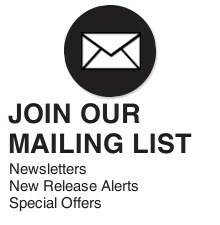 Every instrument is featured, with clear audio examples. 60 beautifully illustrated pages that children will love. Come and Meet the Instruments of the Orchestra! How can the orchestra make so many different sounds? It is quiet and gentle, loud and piercing, funny, powerful, beautiful, frightening and many other things besides. Composers for hundreds of years have used the same instruments in a whole variety of ways. Which instrument belongs in which section of the orchestra? Does a violin really have a belly? What exactly is an ondes martenot? And what do these instruments do when they venture outside the orchestra? With your guiding star, Evelyn Glennie, you too can become an expert. You'll even know your heckelphone from your sackbut and your tom-tom from your tam-tam all by spending hours of fun with words, pictures and music, in the book and on the CD-ROM. The piano is one of the world's most brilliant inventions. 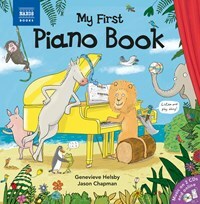 In this book, the Lion, Tortoise, Monkey, Seagull, Duck, Elephant, Snake, Horse, Frog, Penguin and Pig all come together to celebrate what the piano can do. And they will help you to play it, too! 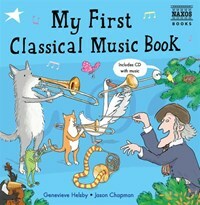 Following the international success of My First Classical Music Book, Genevieve Helsby and Jason Chapman return with My First Piano Book: an original and vibrant introduction for children to one of the world's greatest musical instruments. Bursting with life and humour, My First Piano Book flaunts the piano in all its glory to inspire a new audience. Each page is a treat to explore, as its animal characters show what they know (and what they don't!). It truly is both informative and great fun.